If feels like forever since the last Dresden Files book that I read, and as the last few books that I've read have left me feeling somewhat wanting, I figured going back to a series that I've had great luck with to get me back in a more positive reading groove. Blood Rites follows Dresden as he looks into an unusual series of deaths occurring on the set of an adult film, as a favour to his White Court vampire acquaintance Thomas Raith. The director is convinced that he is cursed, as the women around him keep dying in unusual and ridiculously over-the-top fashion. It soon transpires that other members of the Raith family may be involved in some way. On top of that, Mavra, a powerful Black Court vampire, has returned to Chicago, and Dresden needs to find a trustworthy crew to help him clear out her lair before she can spread further chaos. I definitely needed a break, and the return to the Dresden Files was just what I needed. 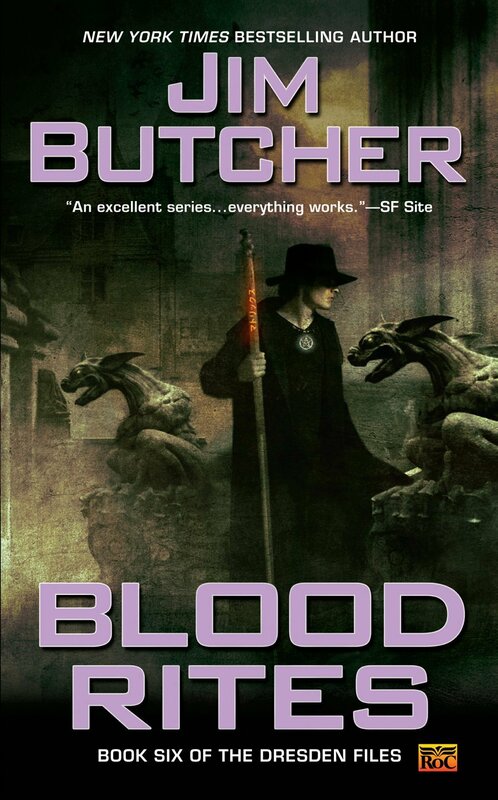 While I didn't love Blood Rites as much as Death Masks, it was definitely still a great entry in the series. For one thing, it delves into a group that hasn't really had much time for development, the White Court vampires. Thomas has appeared a couple of times now, and there's been a bit of explanation that White vampires feed on emotional energy, but not much beyond that. Now that the main plot is centred around someone that Thomas has a need to protect, there's a lot more focus on how he and his family manage to hold their own against stronger types of vampire. Blood Rites also provides an intriguing hint about Kincaid's true nature. While I figured that he probably wasn't human, considering that his day job seems to be looking after the living Archive of all human knowledge, this book seems to hint that he may be far more powerful than the audience had been led to believe. I will definitely be keeping an eye out for him, as there's currently not enough information given for me to try and make an educated guess.